This is where I will write about Ryland. Cool and stuff. This is the second paragraph regarding the History of Ryland. Northernmost of the Protectorates, Ryland shares a border only with Khuzaark in the East. The Aetolian Sea separates it from Lysena, though only by a distance of some three miles at the Thedorian Sound. The Aetolian Sea also narrows to a distance of only 30 miles across again at the Great Thumb, before opening up to Bellowers Bay. The Northern Darkwaters and Coldthrush Bay form the upper-most border, out of which rise the Thrushneck Isles. To the east, the Forsaken Waters stretch toward the Cataclysm. The Brother Mountain Ridge forms a natural barrier which separates the frozen northern third of Ryland from the fertile lower crescent. The Tyne River in the west and Merrybuck River in the east flow from the summits of this ridge south through the arable heartland of central Ryland, joining together before emptying into the Aetolian Sea. Much of the land is covered in rolling hills, open fields and verdant forests of mixed deciduous and evergreen trees, with the later becoming increasingly prevalent further north. 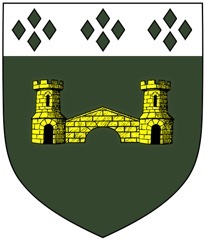 Lord Alistair Westwood is the regent of Ryland; his house sigil is a bridge. His progeny include a son, Nestopher, and a daughter, Wnyfred. His wife, Vercelia, was sister to Lord Markus Carlisle of Mechelen, and tragically passed away when complications arose during the birth of their daughter. Ryland’s capital city of Bridgewater is situated near the geographic midpoint of the protectorate, at the junction of the Tyne and Merrybuck rivers. At the mouth of the Tyne lies the city of Strathaven, a major commercial hub. A day’s journey north of the Greater Fortress of Thedorian Sound is Eastwyk, famed for its blue pottery, and further up the western coast is Port Rothesbury, ancestral home of the Rotheschild family line. Corbridge stands across Darkiron Bay from Resolute, the north-most city of Rhelyrien, beset by winter for seven months out of every year. The language of Ryland is known simply as Ryll. Regional dialects are more accent and pronunciation based than actual differences in speech patterns, with the speakers from the Western coast having a sharper attack of the syllables, while speakers from the north are considered to have a slightly lispy quality to their speech. The Inquisition maintains its chief sanctuary in the city of Bridgewater. The Knights Templar maintain the Greater Fortress of Thedorian Sound, and a full third of Rhelyrien’s combined naval strength, are moored and harbored at the Royal Naval Boatyard in Eastwyk, comprising some 50 warships of various types.